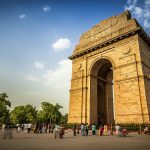 India Gate, originally known as the All India War Memorial is a famous monument located in the center of New Delhi, India. 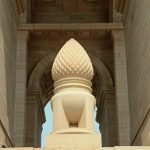 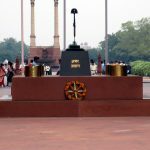 It was built to commemorate the former British India Army members who laid down their lives for the Indian Empire in various wars. 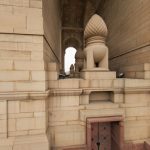 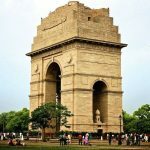 It was designed by Edwin Lutyens, one of the most famous designers of war memorials who was also the main architect of New Delhi. 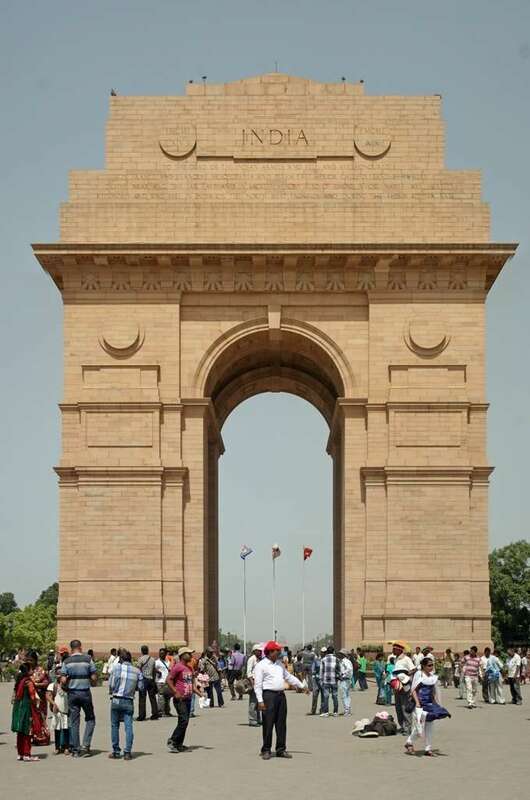 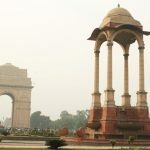 The construction of India gate was part of the activities of Imperial War Graves Commission (IWGC), which was formed in 1917 for erecting war graves and memorials to soldiers killed in the First World War. 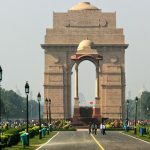 The foundation stone of the war memorial was laid in 1921 by the visiting Duke of Connaught in the presence of the members of Indian Army, Imperial Service Troops, and the viceroy. 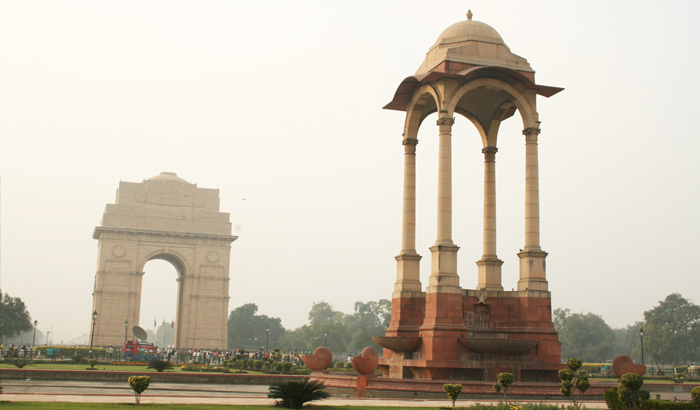 In February 1931, ten years after its foundation, the All India War Memorial was inaugurated by Viceroy Lord Irwin. 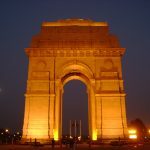 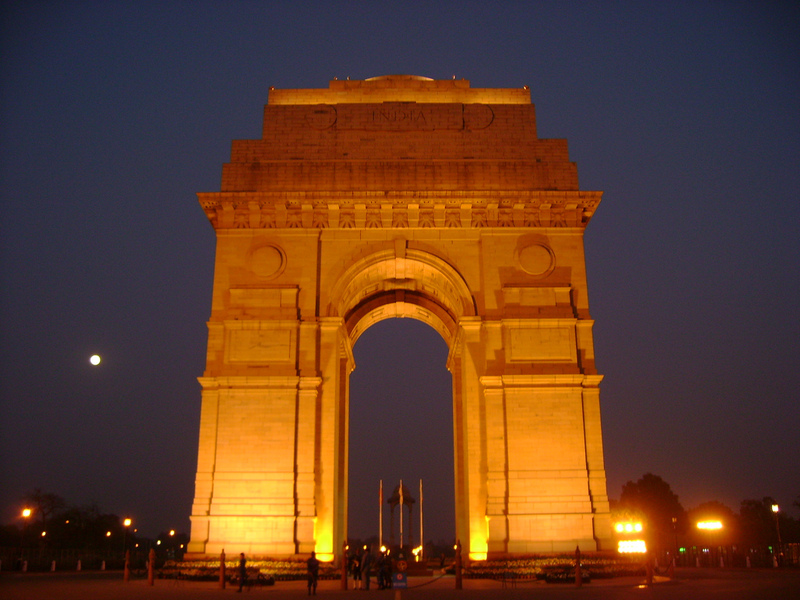 Today, India Gate is the foremost tourist attraction in New Delhi, which is illuminated every evening. 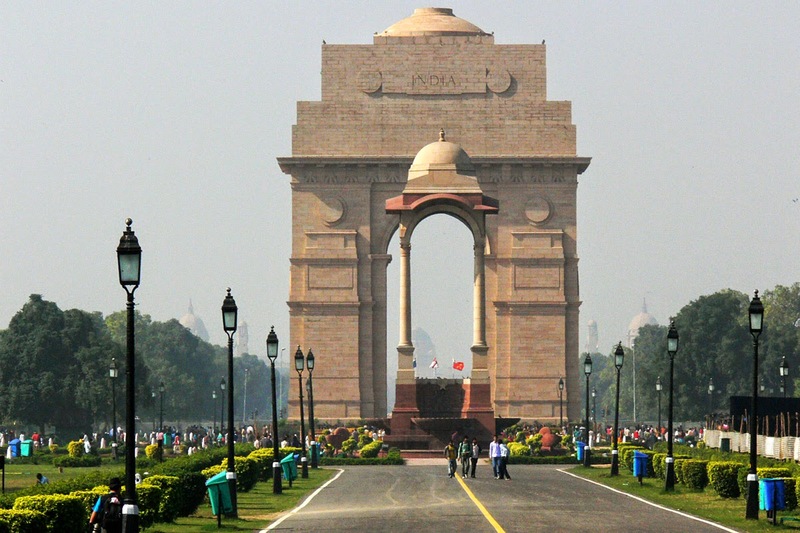 The India Gate is the site of Amar Jawan Jyoti or the Flame of the Immortal Soldier, India’s Tomb of the Unknown Soldier. 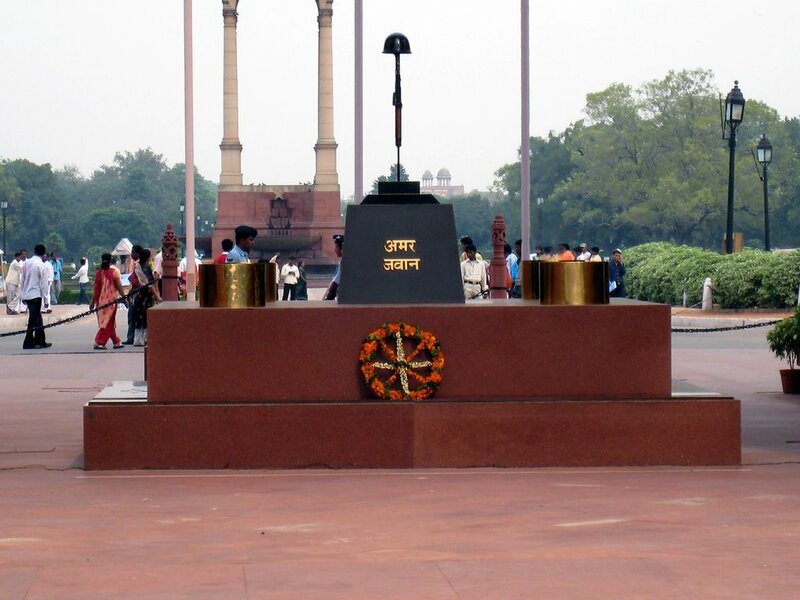 Erected below the Memorial Archway in 1971 following the Bangladesh Liberation War, the structure comprises black marble plinth with an upside down Self-loading rifle, the top of which contains a war helmet bounded by four urns each containing a permanent light from flames which are burning since 1971. 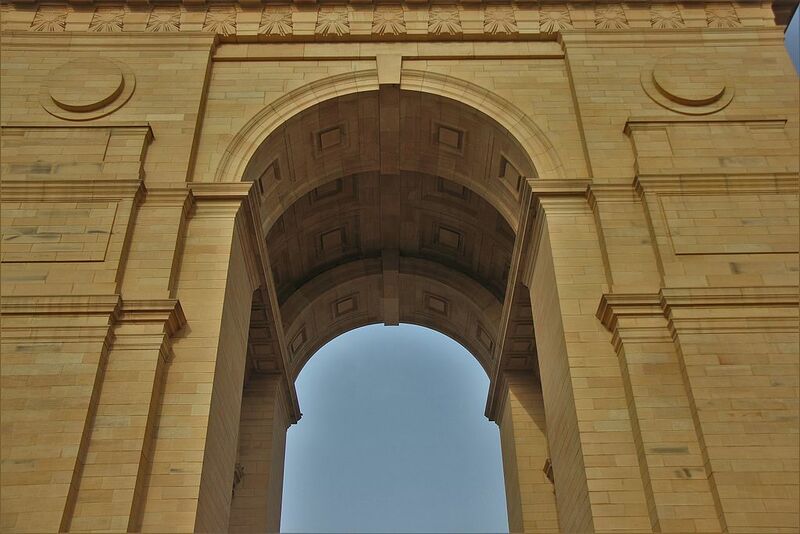 The names of 13,218 soldiers are inscribed on the India Gate to commemorate their sacrifice. However, access to read the names are restricted due to security reasons. 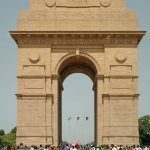 It can be seen on the India Gate website. 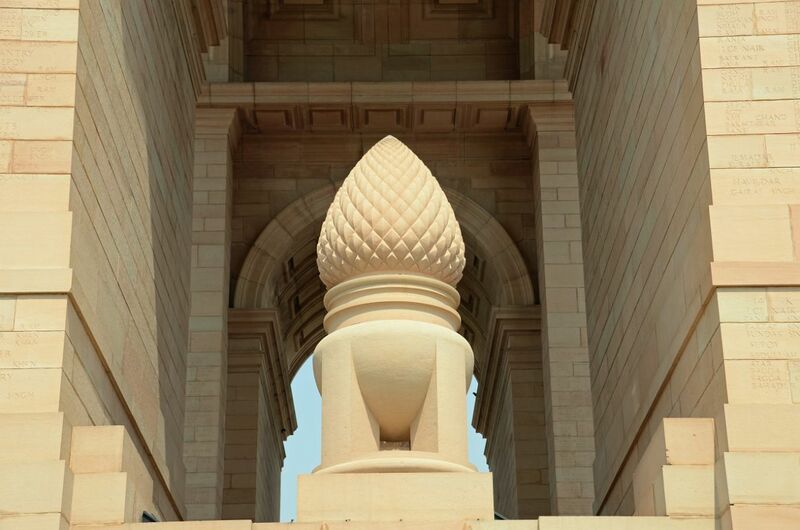 The 42-meter high monument stands on a low base made up of red Bharatpur stone rises in stages to a large molding. 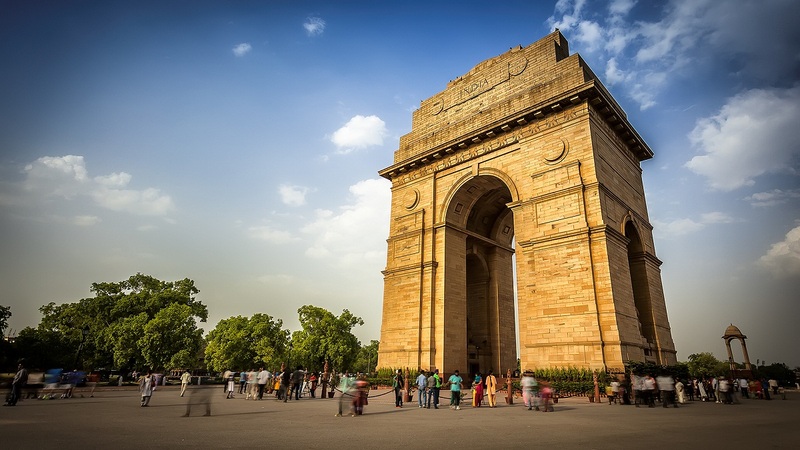 The complex has a diameter of around 625 meters covering an area of around 306,000 m². 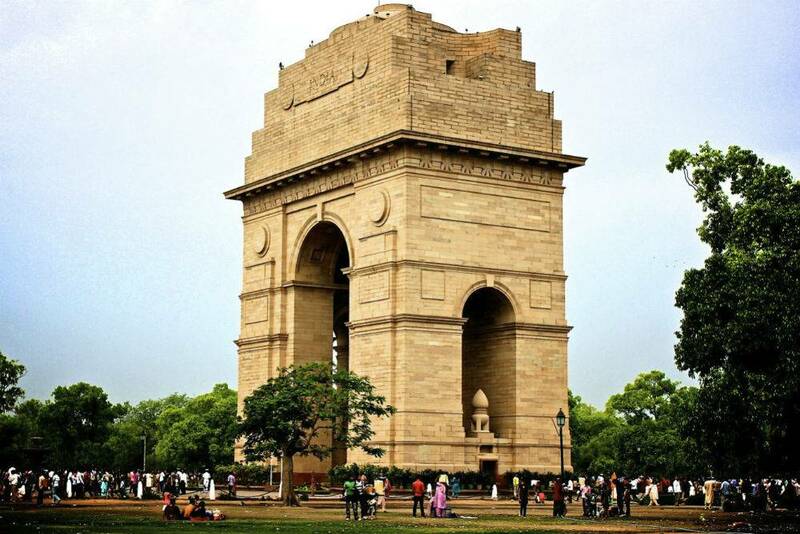 Around 150 meters east of the war memorial stands a 73-foot cupola with 4 Delhi Order columns supporting the canopy as well as its chhajja. 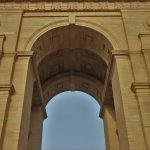 The cornice of the India Gate comprises of inscriptions under the word INDIA which appears on both sides of the arch flanked by the dates.